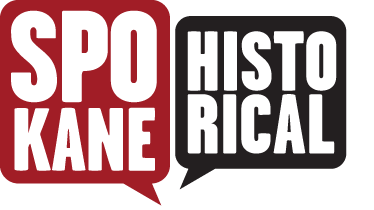 Visitors to Hillyard will see the name Kehoe prominently displayed -- on the Kehoe Building, park, and apartments. These are monuments to Agnes and Thomas Kehoe, pioneer citizens of Hillyard. In 1894, Agnes Kelly married Thomas Kehoe, a successful businessman from Minneapolis, active in the horse and carriage industry. Like so many others in the period, the couple decided to go west in search of a better life for their family. Thomas left first, headed for Seattle, but settled in Hillyard upon meeting up with a cousin who found him work with the Great Northern Railroad station. Agnes and their daughter Ethel (born in 1895) caught up with him in 1903, in what would become their permanent home. Thomas set up a successful business, a saloon called the Hillyard Bar. The saloon’s proximity to the railroad and its thirsty workers proved a boon for business. All was going well until one Tuesday in 1905 when masked robbers burst into the Hillyard Bar. They shot Thomas in the face and made off with $185.00. Though severely injured, Thomas made a full recovery and even testified against the attackers, sending them to the state penitentiary. The success of the saloon allowed the Kehoes to build their own building on the corner of Market and Olympic in 1907. They utilized the first floor for businesses, including the saloon, and the second floor housed eighteen single room occupancy hotel rooms. The building still stands, look up and you can see the Kehoe name on the lintel. Business boomed, and Thomas served as Hillyard’s mayor for a brief period in the 1920s. The real politician in the family, however, turned out to be Agnes. Shortly after arriving in Hillyard, Agnes immersed herself in social life and various philanthropic activities. Energetic and committed to helping others, Agnes was active in the Social Service Bureau, the Spokane Woman's Club, the Girl Scouts, the Washington State Tuberculosis League, and the Catholic Daughters of America. Extremely well-liked throughout the community, her supporters urged her to run for State Representative of the third district. Without ever campaigning, and pledging only never to sell her vote and never to get drunk, Agnes won the seat in 1939. She maintained her position until stepping down in 1947. In 1951 Agnes earned the prestigious Marian award from Holy Names College due to her significant contributions to the community. Thomas died in 1946 and Agnes died in 1959 but their legacy lives on in Hillyard. The building they built in 1907 still stands. During prohibition they switched from the saloon business to a general hardware store, a business their daughter ran into the 1960s. There is now a park dedicated to the Kehoes (between Nelson St and Lacey St on Wabash Ave). 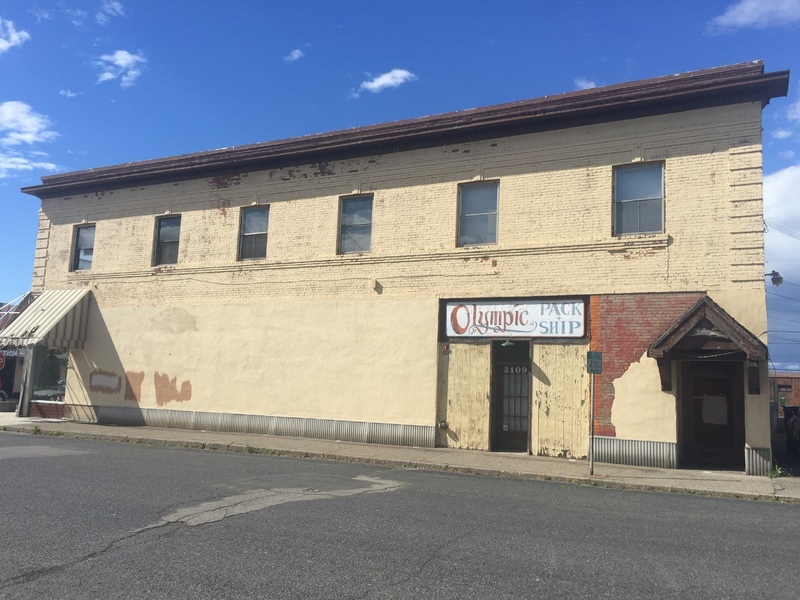 Agnes also has a low-income apartment complex named after her in the old Hillyard High School building, a position she would take pride in as she dedicated her life to helping the less fortunate. Agnes Kehoe in 1939: This is Kehoe's official legislative portrait, she was a representative from 1939 to 1947. Image courtesy of the Washington State Digital Archives. 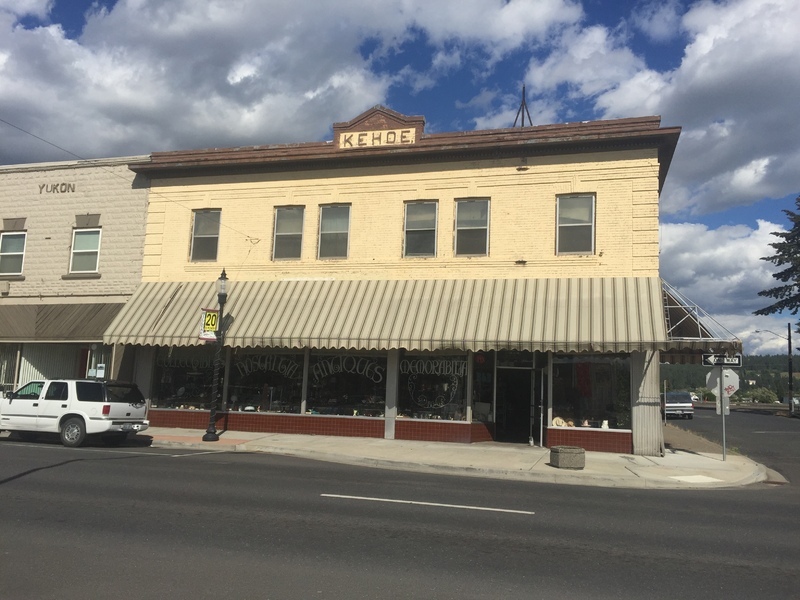 Kehoe Building: Thomas and Agnes Kehoe built this building on the main street in Hillyard and ran their family businesses out of the main level and rented the upper rooms out as a single occupancy hotel. Image courtesy of Allie Honican. South side of Kehoe Building: The south side entrances to the Kehoe building. Image courtesy of Allie Honican. 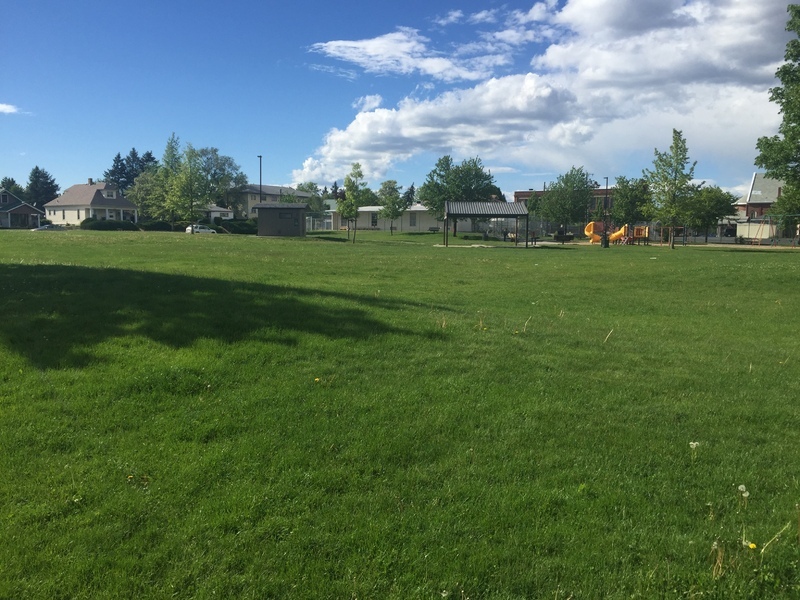 Kehoe Park: Named after Agnes and Thomas Kehoe, pillars of the Hillyard community during their time. Image courtesy of Allie Honican. 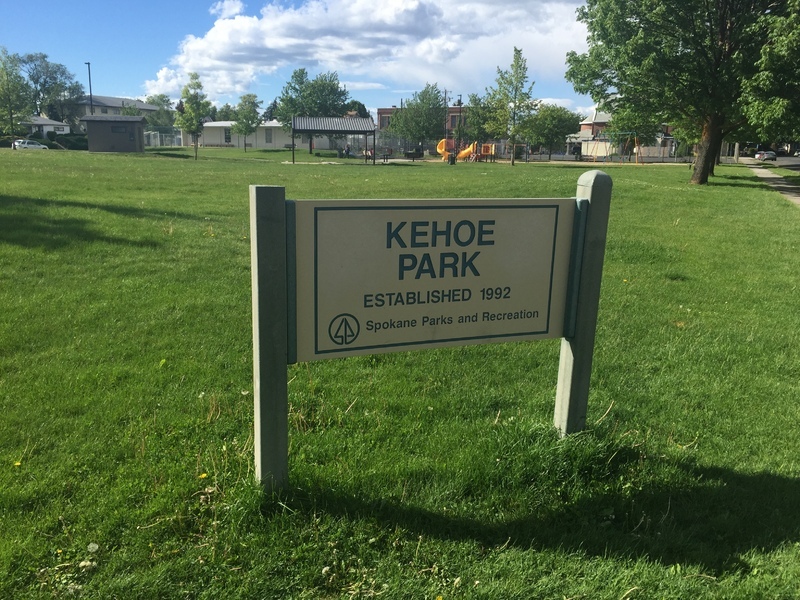 Kehoe Park: Dedicating a park to Agnes and Thomas Kehoe, who were constantly helping others, is a very fitting way to honor their memory. Image courtesy of Allie Honican. Allie Honican, “Agnes and Thomas Kehoe,” Spokane Historical, accessed April 20, 2019, https://spokanehistorical.org/items/show/638. Spokesman-Review. “Death Claims Thomas Kehoe” June 23, 1946. Spokesman-Review. “Death Takes Mrs. Kehoe at Age 85” November 18, 1959. Spokesman-Review. “Thugs Shoot to Kill at Hillyard: Masked Robbers Hold Up Thos. Kehoe’s Saloon” December 1, 1905. Spokesman Reivew. 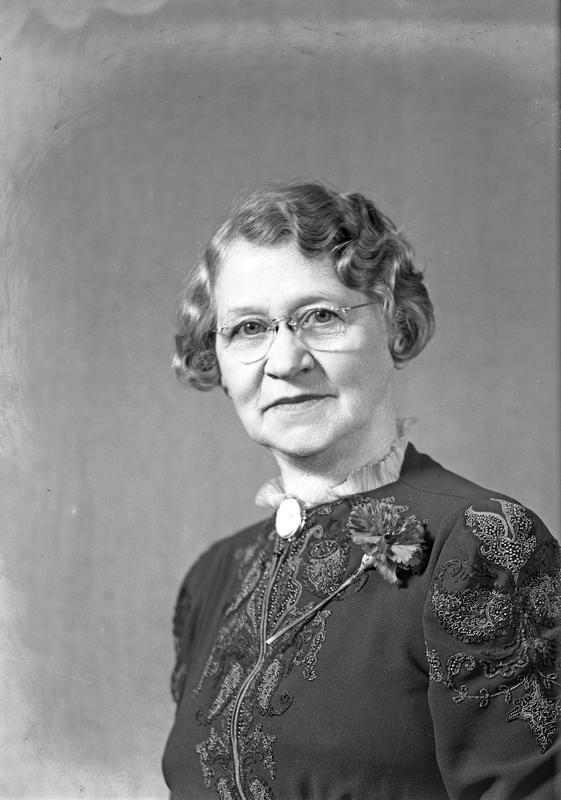 “Woman Unique as Lawmaker: Mrs. T. E. Kehoe Goes to Legislature Unhampered by Any Pledges” January 8, 1939.